This class is designed for newcomers and those wishing to refresh their mindfulness practice. It will explore what mindfulness is (and is not) through direct experience, interactive exercises, and discussion. It will be helpful for people of all backgrounds and religions. This is a great class for beginners; or family members, or friends who are new to mindfulness. It is also helpful for those wishing to refresh and strengthen your practice. 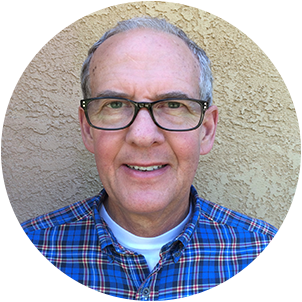 Rick is a Trained Mindfulness Facilitator through UCLA’s Mindful Awareness Research Center at the Semel Institute for Neuroscience and Human Behavior at UCLA. He is also certified to teach youth via MindfulSchools.org curriculum. Rick is also a member of the International Mindfulness Teacher Association. He started Mindfulness Meditation practice in 2006 to reduce stress and improve his health. Rick quickly discovered positive changes from his practice and wanted to share it with others. He has shared Mindfulness with adults and high school students and has a long history of giving back to others, including being a fundraiser and volunteer high school and elementary school teacher for 2 charitable organizations. Forever a student of life, Rick has 2 Bachelor degrees; one in Economics and the other in Political Science. He is also the proud father of 3 children. Full refund if you cancel with 48 hours notice.